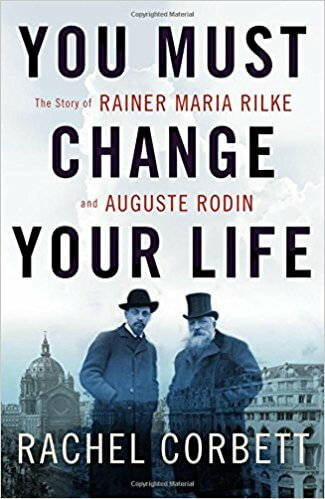 You Must Change Your Life is an enthralling exploration of the complex relationship between two creative giants of art and literature, drawn together in Paris at the birth of a new century. Rachel Corbett has successfully melded the natural flair and élan of her own writing with exemplary research into her subject. There is always a danger the ardent biographical explorer may fatally slip into a crevasse of overkill or verbosity, not so Corbett, who sustains the reader’s interest through intellectual rigour, elegance, and above all empathy. Corbett’s work also introduces neglected names such as the important sociologist and philosopher Georg Simmel and Theodore Lipps, whose pioneering work on empathy or einfühling, (‘thinking into’) fed into Rilke’s creation of a new form of poetry, articulating that essence which lies beneath the surface, as in a Rodin sculpture. Although the story concerns the trajectory of the companionable and inspiritive yet sometimes nimbus clouded relations between Rilke and Rodin, the interweaving travails of their wives and friends decisively enrich the book, casting a less gilded light on the pair. But it is Rodin’s deleterious behaviour which proves most unsettling. Corbett focuses on the women in their orbit, in Rilke’s case the gifted painter Paula-Modersohn Becker and sculptor Clara Westhoff, (as friend and wife respectively), their fraught passage to independence alongside Rilke’s painstaking ascendency. Corbett is empathic towards these free spirits labouring to extricate themselves from the thicket of male dominated culture, yet thankfully she does not romanticise. Corbett sketches Rodin’s advance over the desiccated terrain of reactionary criticism. We see the bullish sculptor organically immersed in his materials and more often his models, the authentic outsider, face pressed against the glass of the salons awaiting admittance. We pass through the Gates of Hell, into the Balzac and Zola intrigues, are borne on the Camille Claudel storm wave and on to his encounter with the melancholy young poet who arrives in Paris bearing the uncomfortable embryo of an impulsively initiated family life. Desperate for creative re-alignment, Rilke loiters at Meudon enduring the sculptor’s domestic maelstrom in order to access the atelier and its secrets. Mesmerised by Rodin’s physicality, ‘Rilke noted the way the sculptor would lunge at his sculptures, the floor creaking and moaning under his heavy feet. He would fix his eyes on a detail and zero in so close that his nose pressed up against the clay…’ Rodin’s proffered panacea to his disciple of ‘travailler, toujours travailler’ becomes mantra to the poet until Rilke gradually awakens to the danger of humanistic petrification if taken verbatim. Rilke gains most, evolving through the governing prism of Rodin’s presence and Paris. 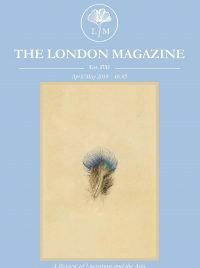 Rodin, immortalised in his undisputed greatness, remains fossilised in human terms, a man who counselled ‘sedating one’s own children, should they prove distracting from the pursuit.’ Rodin’s brutal unjust sacking of Rilke as personal secretary is a watershed moment. Yet ultimately the master and one-time disciple are reconciled, and set to repolishing the now dulled treasure of their friendship when both men share a residence in the intriguing ‘lost domain’ of the legendary Hotel Biron. Rodin withdraws, snubs modernity and clinging defiantly to classicism is brashly rejected by minimalist parvenus like Brancusi. Rilke must now master fame himself, or ‘that collection of misunderstandings that gather around a name.’ Proof of his unswerving attachment to Rodin is laid bare in the acclamatory dedication he chooses, tellingly penned in French not German, for the Neue Gedichte Anderer Teil (1908) ‘À mon grand ami Auguste Rodin’.